[Updated at 9:36 p.m.] None of the six people appeared to have taken a direct strike, the fire department told CNN affiliate WESH. Five adults were taken to an area hospital for evaluation. One person was treated at the scene and released, according to WESH. in Florida this afternoon, an Orange County Fire Rescue spokeswoman said. "Could a black man win the Republican nomination? Never." Will the GOP choose a black nominee? In his column this week, CNN columnist and senior writer and columnist for ESPN The Magazine and ESPN.com, LZ Granderson wonders whether a black candidate could win the Republican nomination for president. 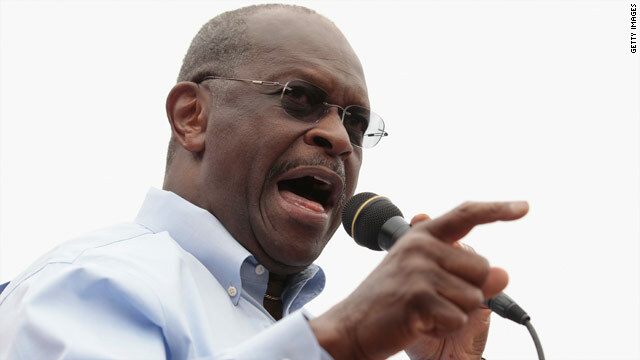 He says Herman Cain and the media should confront the question since race still matters in America. Many CNN.com readers were offended by the implication that the Republican Party is racist, while other readers said it was a valid question. [Updated at 7:27 p.m. ET] A lockdown imposed Tuesday on the campus of California's Santa Monica College after it received an unconfirmed report of a gunman on campus was lifted an hour later, a school spokesman said. Santa Monica police said the college received a call late Tuesday morning that someone may have fired a gun on campus, and the school was locked down. College spokesman Bruce Smith said the lockdown was lifted an hour later, at about 12:15 p.m. PT, after police did a "complete sweep of campus" and found nothing to verify the report. Santa Monica Police Sgt. Richard Lewis said it was believed a student on the phone with her mother heard loud construction sounds and mistook them for gunshots. 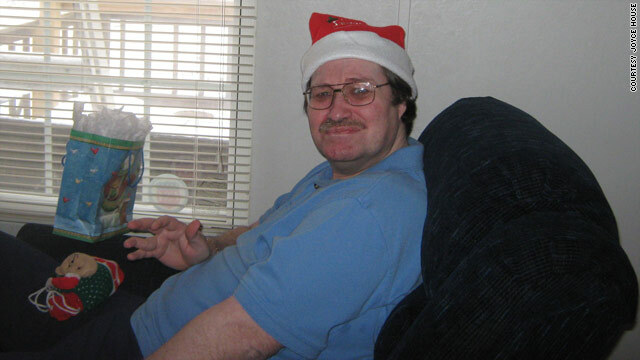 Paul House lived with multiple sclerosis for 13 of 22 years on Tennessee's death row before DNA evidence freed him. "When he first came home, he didn't want to go anywhere. He was so afraid people were going to come up to him and say, 'oh you're a murderer,' " his mother said. "I told him people know you're innocent, I know you're innocent, you know you're innocent. He’d say, 'yeah, but does everyone else know?' "
House was placed under house arrest in 2008 while he awaited retrial. In 2009, a month before his trial, Union County District Attorney Paul Phillips filed a petition to drop all charges, saying DNA evidence presented significant reasonable doubt. "Took 'em long enough," House said at the time. Seven people were killed when a motorbike exploded Tuesday in central-southern Afghanistan, officials said. The bike detonated in a marketplace in Uruzgan province, leaving at least eight others seriously wounded, said Khalifa Sadat, Deh Rahwod district chief. Local leaders across the country were presented Tuesday with the results of a report that calls for the end of a controversial Department of Homeland Security program involving local officials in immigration enforcement. The Immigration and Customs Enforcement program, known as Secure Communities, seeks to find unauthorized immigrants who have criminal records and deport them. According to ICE, the program is a "simple and common sense" way to carry out its agency's priorities, which include the removal of those who pose a threat to the public or are repeat immigration offenders. But the report, written by a coalition of community organizations under the umbrella of the National Community Advisory Committee, found that a large number of immigrants being deported were not criminals and that it distracts from local police work. Indiana investigators and the FBI began combing through a western Indiana landfill Tuesday in search of fresh clues to the June disappearance of college student Lauren Spierer. The Bloomington Police Department has isolated a roughly 170,000-cubic-foot patch of garbage at the landfill and may need two weeks to sort through it, the department said in a statement announcing the search. The site holds waste transported from Bloomington, including from bins intersection where the Indiana University student was last seen. "While working with the company that operates the landfill, Republic Services, waste that was taken from the city on and around the dates of Spierer's disappearance was identified at the landfill site," police said. "That location within the landfill has remained isolated and secured since that time with no additional waste placed in the identified area." The landfill is in Pimento, about 60 miles west of Bloomington and about 10 miles south of Terre Haute. 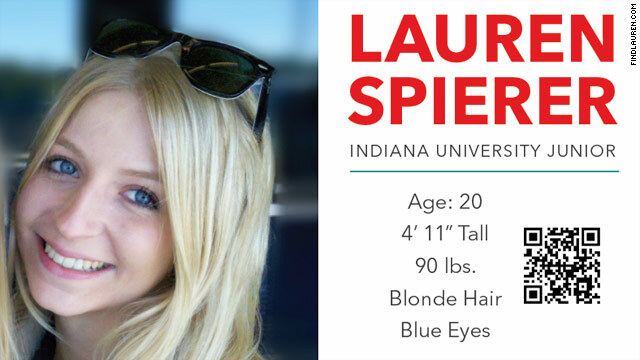 In a statement issued through police, the Spierer family offered investigators their "sincere thanks and appreciation for their continued support in our efforts to find Lauren." 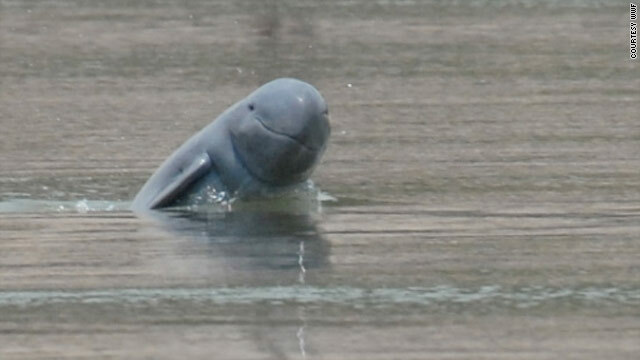 A World Wildlife Fund survey found 85 Irrawaddy dolphins left in Southeast Asia’s Mekong River. A group of dolphins is on the brink of extinction in part because their calves are not surviving, the World Wildlife Fund reported. There are 85 Irrawaddy dolphins left in Southeast Asia’s Mekong River, according to the conservation organization. “Evidence is strong that very few young animals survive to adulthood, as older dolphins die off and are not replaced,” Dr. Li Lifeng, director of the World Wildlife Fund's freshwater program, said in a statement. Irrawaddy dolphins are found in the Mekong River, the Irrawaddy River in Myanmar and the Mahakam River in Indonesia. While a survey of the dolphins was done only in the Mekong, the World Wildlife Fund reported that in all areas the species is critically endangered. The danger of the species' extinction extends beyond the animal itself, the group said. The dolphins are viewed as sacred by the Khmer and Lao people, the World Wildlife Fund noted. Dolphin-watching ecotourism also is an "important source of income and jobs for communities" in these areas, the group said. President Barack Obama laced into his conservative Republican congressional critics Tuesday, accusing them of putting partisan political concerns before the country's interests. Appearing before a crowd of farmers and small-business owners in the presidential battleground state of Iowa, Obama called on Congress to help boost an anemic economy by passing an extension of the payroll tax cut and a new road construction bill, among other things. "America is going to come back from this recession stronger than before," the president declared. But I "need your help sending a message to Congress" that "it's time to put politics aside and get something done," he said. Elements in Congress refuse to "put country ahead of faction," Obama said. It is time to "put country ahead of party and put the next generation ahead of the next election. That's what I'm fighting for." Obama's latest salvo against tea party-backed Republicans came in the midst of the president's three-day Midwestern bus tour, ostensibly meant to promote administration's new rural economic development initiatives. The president is scheduled to discussed a number of political and economic issues during a one-on-one interview with CNN's Wolf Blitzer on Tuesday afternoon. 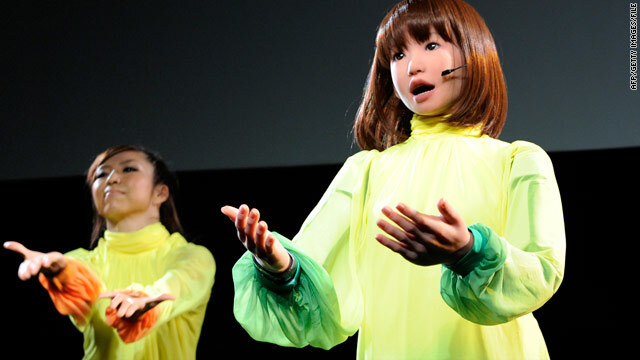 A Japanese humanoid robot sings and dances with performers at a 2010 expo in Tokyo. Call it the rise of the robots. Over the past decade the obsession with artificial intelligence has captivated people worldwide. You need to look no further than every other "Battlestar Galactica"-like TV show and movie being created or even to NASA's Robonaut and Japan's "humanoid" robots, which can walk, talk, think for themselves, be a nurse or even pour drinks. So perhaps it's not surprising that when two Stanford University professors came up with the idea to offer their Introduction to Artificial Intelligence class online for free, people flocked to it as it were a viral video. But the demand for the course is more than the professors likely ever expected. As of midday Tuesday, the class, which usually attracts 200 students at Stanford, has more than 64,000 people signed up - an impressive feat considering the university has less than 7,000 undergraduate students. "We have been absolutely ecstatic about the many, many of you who are up to take this challenging class," professor Sebastian Thrun said in a video posted on a website for the class. It's unclear whether all these people will go through with taking the class, which starts in October, but there are a few interesting things worth noting about it. The Australian man accused of strapping a fake bomb around the neck of an 18-year-old woman two weeks ago will remain in federal custody until at least October 14, a U.S. District Court magistrate ruled Tuesday. The FBI arrested Paul Douglas Peters, 50, Monday near LaGrange, Kentucky, after a joint investigation with Australian authorities that traced him to the August 3 incident in the Mosman, Australia, home of Madeleine Pulver. Authorities say they believe Peters strapped a black box around the Pulver's neck, claiming in an attached note that it contained "powerful new technology plastic explosives" that would explode if she did not follow his instructions - which included contacting an e-mail address for further details, according to a complaint for provisional arrest filed in federal court. 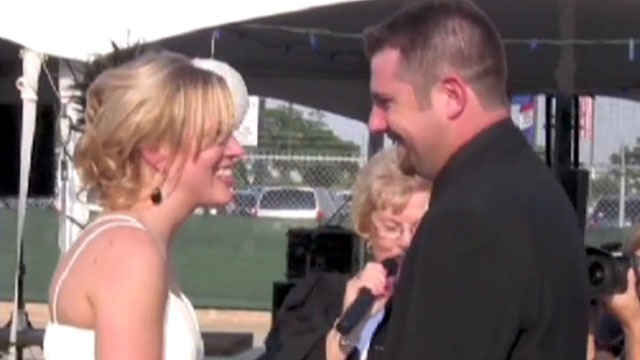 How would you react if you unknowingly arrived at your own wedding? You've decided you want to marry that special someone, and now you're tasked with finding the most memorable and romantic way to pop the question. Everyone's already seen the countless sports venue proposals, and the restaurant thing is SO overdone. What's someone to do? You've gotta watch how these men make their marriage proposals unforgettable with their unique grand gestures. A court in New Delhi has sent a veteran anti-corruption activist to jail for seven days after police detained him and about 1,300 of his supporters. The court sent 72-year-old Anna Hazare and seven other activists to jail for seven days because they would not sign bail bonds, said Rajan Bhagat, a police spokesman in New Delhi. Investigators detained Hazare in advance of a hunger strike. They said he lacked official permission for a planned demonstration. His supporters who were detained planned to join him at a protest site where he was to have begun his hunger strike. Authorities detained the 1,300 would-be demonstrators as a preventative measure, Bhagat said. They were later freed, he said. Hazare conducted a five day hunger strike in April at New Delhi's Jantar Mantar landmark, ending it only after India's prime minister agreed to introduce long-pending legislation meant to crack down on graft. Rebel forces in Libya working to topple the Moammar Gadhafi regime think they can start moving on Tripoli very soon - kicking off a decisive new chapter in the war. The key factor is the bloody battle for Zawiya - an strategically important city just west of Tripoli engulfed in urban warfare on Tuesday. Rebels have made advances in the south and the east. But if those fighters eventually gain control of Zawiya, that will be a major stride in putting a stranglehold on the Gadhafi-controlled seat of power. "We will be very careful entering Tripoli, which we hope to do by the end of this month," said Col. Ahmed Banni, military spokesman for the opposition National Transitional Council. Clive Goodman alleged that "other members of staff were carrying out the same illegal procedures" that he was arrested for. Phone hacking was "widely discussed" at News of the World, the royal correspondent jailed and sacked for the practice wrote in 2007, documents released by a Parliament committee investigating the scandal revealed Tuesday. The letter was among a string of documents released by Parliament's Culture, Media and Sport Committee, which is investigating the scandal. The committee is likely to call News Corp. executive James Murdoch to testify before them again as they try to determine whether he misled them last month about phone hacking at the News of the World newspaper, member of Parliament Tom Watson said Tuesday. Both James and his father Rupert Murdoch and former News International chief executive Rebekah Brooks, who previously edited News of the World, gave evidence to the committee last month. James Murdoch ordered the closure of the News of the World, Britain's best-selling Sunday paper, in July in the face of allegations of illegal eavesdropping and police bribery by its employees. The scandal has led to the resignation of a number of senior police officers and executives at News International, the British arm of News Corp. which ran the newspaper. The letter published Tuesday reveals that while fighting his dismissal from the paper, former royal correspondent Clive Goodman alleged that "other members of staff were carrying out the same illegal procedures." He also wrote that "explicit reference" to phone hacking was "banned." The copy of the letter published by lawmakers investigating the scandal blacks out the name of the person who banned it. New home construction slumped in July, according to two key measures released by the government Tuesday. Permits to build new homes fell 3.2% during the month to an annual rate of 597,000 units. The number of new homes being built fell 1.5% to an annual rate of 604,000 units, the Commerce Department said. 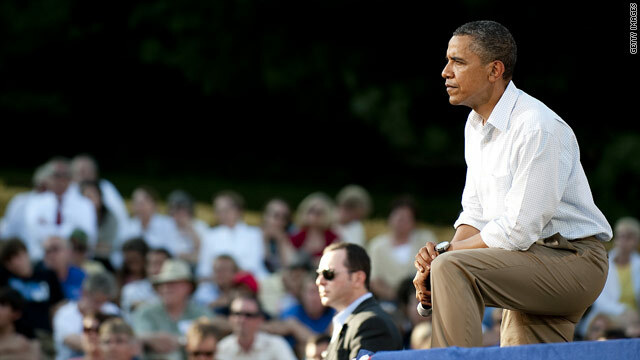 President Barack Obama brings a town-hall style meeting to Decorah, Iowa, on Monday as part of his Midwest tour. President's Midwest tour - On his bus tour's second day in the nation's heartland, President Barack Obama is set to meet with farmers and business owners in Peosta, Iowa, an enclave of about 1,700 people in Dubuque County with a large industrial park and a handful of new businesses. The White House has billed the Midwestern tour as an opportunity for the president to talk about job growth and the effects of national economic policy with people in their own communities. Obama also is scheduled to sit down with CNN's Wolf Blitzer for a one-on-one interview Tuesday. We're more than a year away until the presidential election, but the candidates are hitting the road and looking for support. Watch CNN.com Live for continuing coverage of the race to 2012. 9:00 am ET - Gingrich talks policy - GOP presidential candidate Newt Gingrich delivers a policy speech to the Heritage Foundation in Washington.